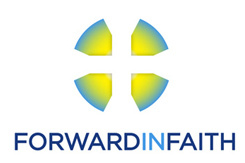 Forward in Faith has published its submission to the Working Party on the Seal of the Confessional, which is charged with assisting the Archbishops’ Council and the House of Bishops in considering whether to recommend amendment of the Canon that says that priests should not reveal what has been disclosed in Confession by a penitent. Forward in Faith's submission points out that the sacraments belong to the whole Church, of which the Church of England is only part, and that the General Synod therefore does not have the authority to alter them. The obligation of non-disclosure is part of the nature of the Sacrament: it was not created by the Canon. Amending or repealing the Canon would therefore not remove it. We are confident that priests will continue to regard themselves as bound by the Seal of the Confessional, even if this canonical provision is amended or repealed. We question whether, in any case, the necessity for such a change has been or can be made out. Such a change would be undesirable and counterproductive. It would discourage people who have committed criminal offences from making their confession, reducing the likelihood of a priest being in a position to counsel them to report themselves to the Police. The time and energy expended in promoting such a controversial piece of legislation could be deployed more profitably in other ways. Forward in Faith is concerned that many priests receive little or no training for the important ministry of reconciliation, which both the 1662 and Common Worship Ordinals identify as a fundamental aspect of priestly ministry. Such training should emphasize that, where a serious crime is confessed, absolution should be withheld until the penitent has reported him- or herself to the Police. Forward in Faith understands the defence of the sacraments as part of its purpose, and we shall resist as strongly as we can any attack on the integrity of sacramental Confession. The submission may be read here.